It's been a while since my last Insta-Friday post. On that particular Friday (March 9th) I was still longing for spring. I'm happy to say that the sun is shining brightly today. While it's not super warm, I can now at the very least imagine a full life outside these walls. We are starting to come alive after winter hibernation. We have been getting out and about on weekend travels in the City of Toronto and elsewhere. 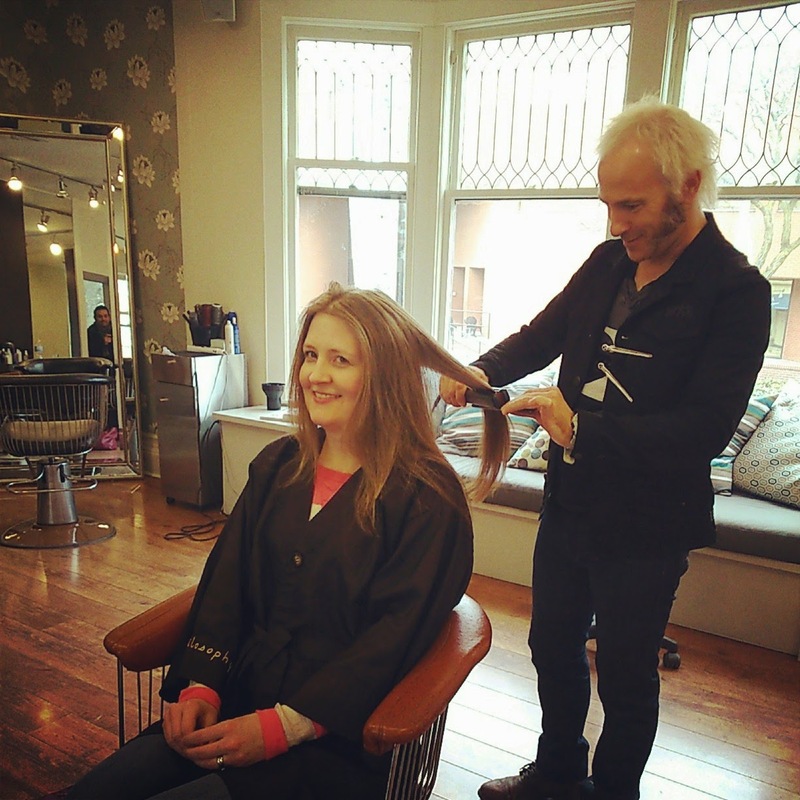 Starting with a much-needed visit to my friends Vili and Bruce at Philosophy Salon. Fresh highlights and a haircut have me ready to take on spring. I think a good pedicure is up next! Of course, on weekdays I still spend most of my time at this desk. I snapped this picture one Monday when I was having "a case of the Mondays." (If you work in an office and you haven't seen the movie Office Space, I suggest you watch it. Seeing the humour in office life could be just the thing to get you through another Monday on the job.) Although I don't have a boss to get me down now, I still feel sluggish on Monday mornings. 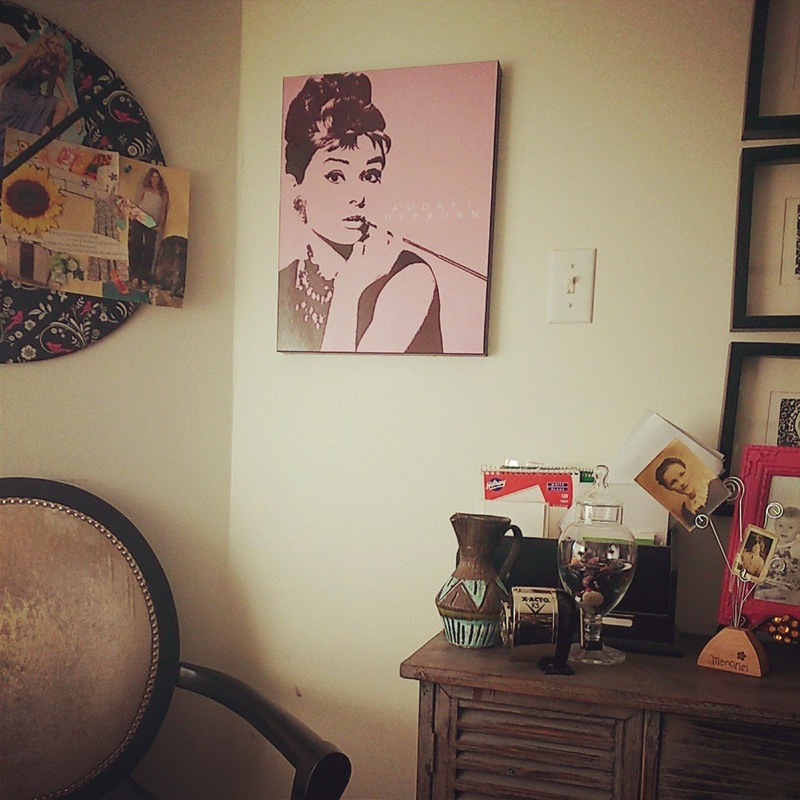 I like to surround myself with fun items (like this Audrey Hepburn portrait) for the moments I'm not feeling inspired. 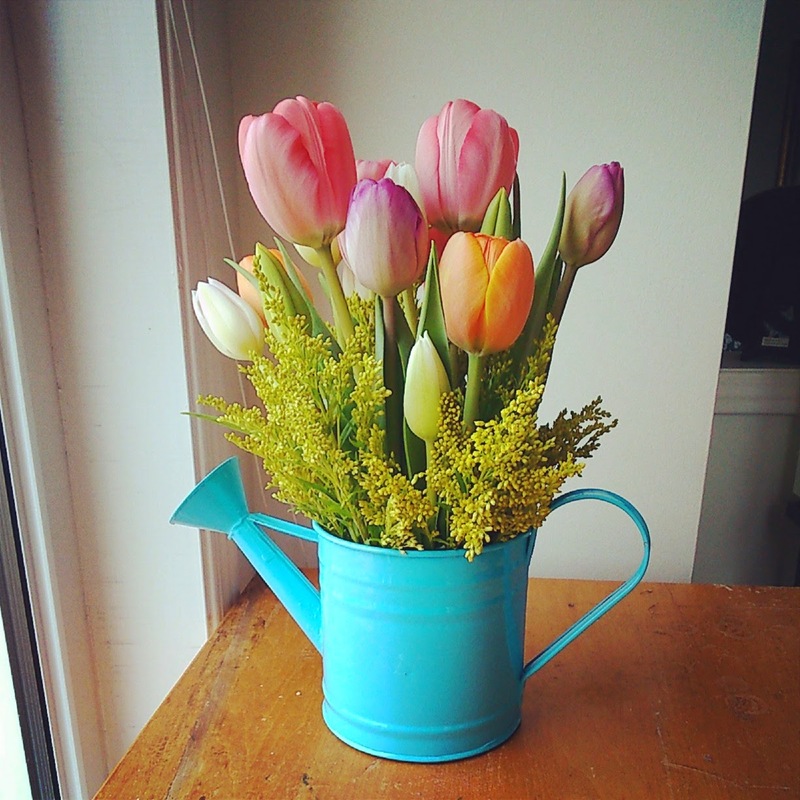 I went to the retirement party of a friend and former co-worker, and came away with this beautiful pot of tulips. It was created by Blooms of Joy Project, a social enterprise that provides employment skills training for people with developmental disabilities. 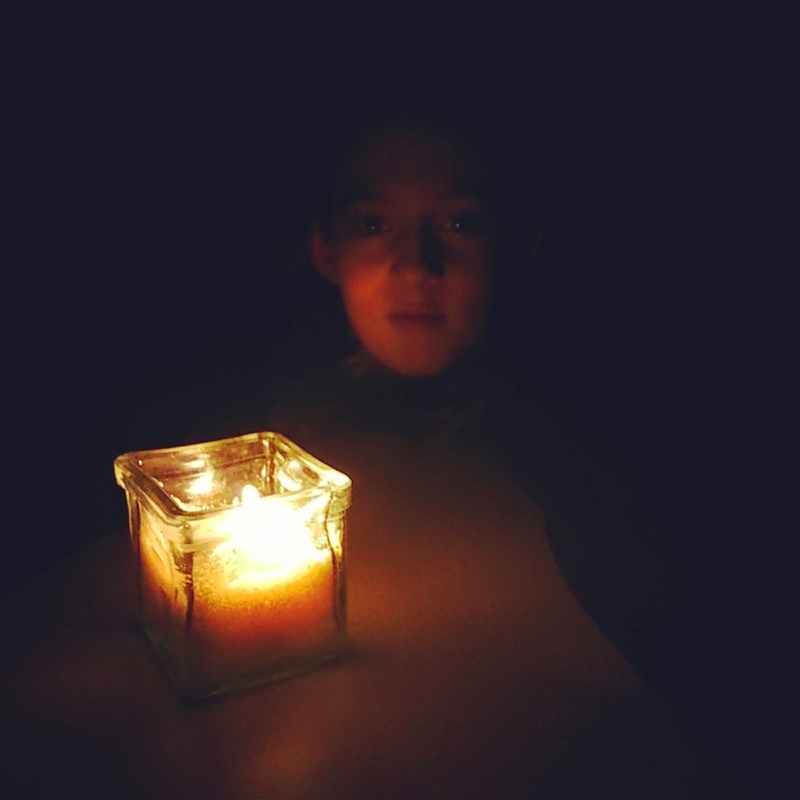 We marked Earth Hour on March 29th, turning off our lights for an hour and enjoying soothing candlelight. The kids always enjoy Earth Hour. Apparently its success rate is declining though, and we are no longer seeing big drops in hydro use in that hour. 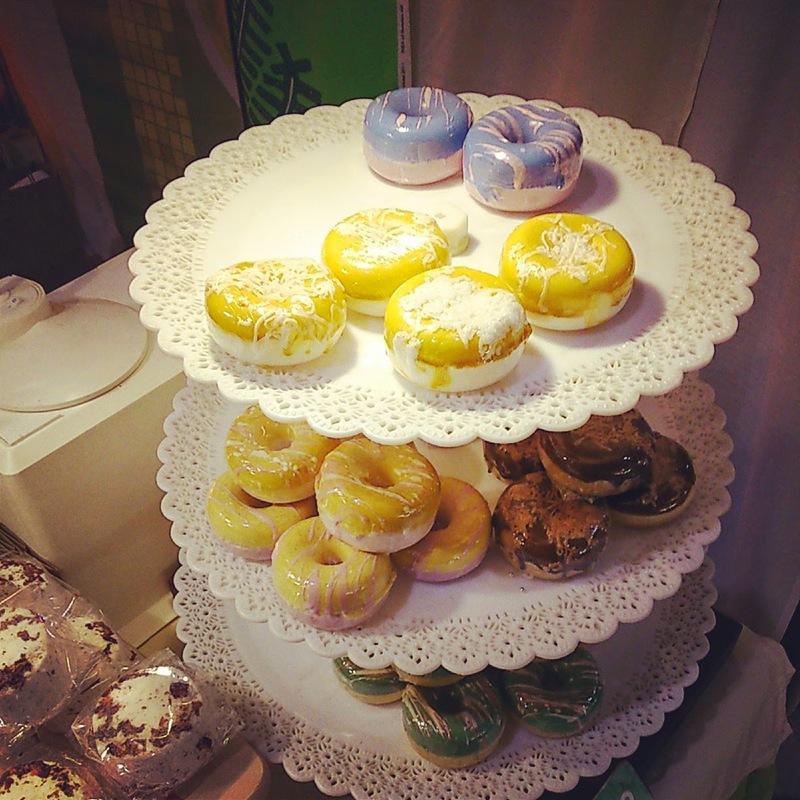 We went to the One of a Kind Show, where I snapped a pic of these amazing donut soaps from Demo Soap. 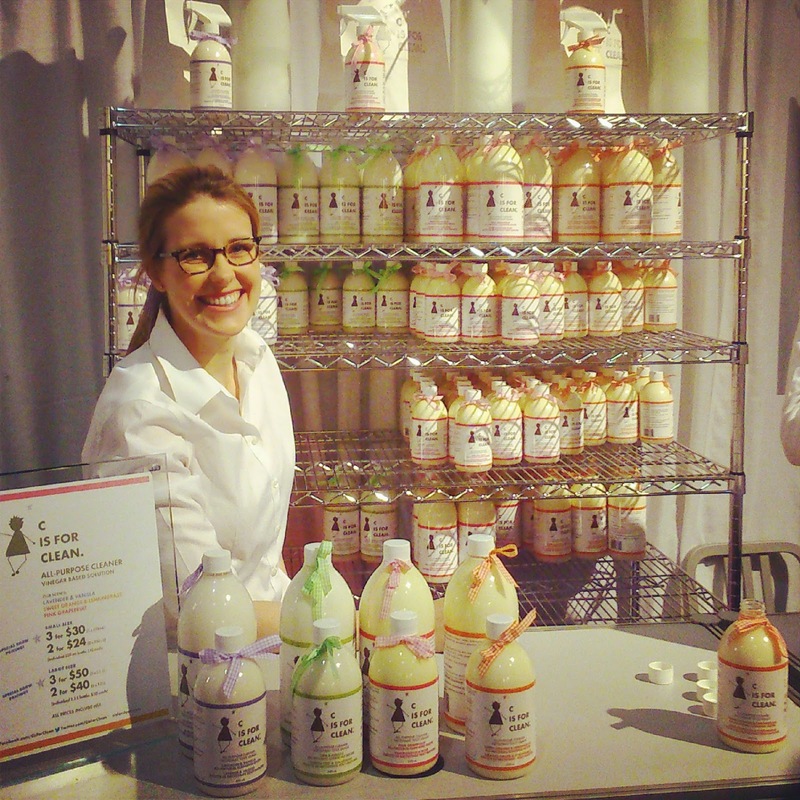 I was so impressed by all the artisans at the show. I have some more photos of cool stuff to share with you soon. I paid a visit to the C is for Clean booth. It's my all-time favourite cleaner. It's all natural and earth- and people-friendly. I had to get a whiff of their lovely new lime ginger scented cleaner. We went to Niagara Falls last weekend for my son's basketball tournament. We will be making a couple more trips to Niagara Falls in the upcoming weeks too. 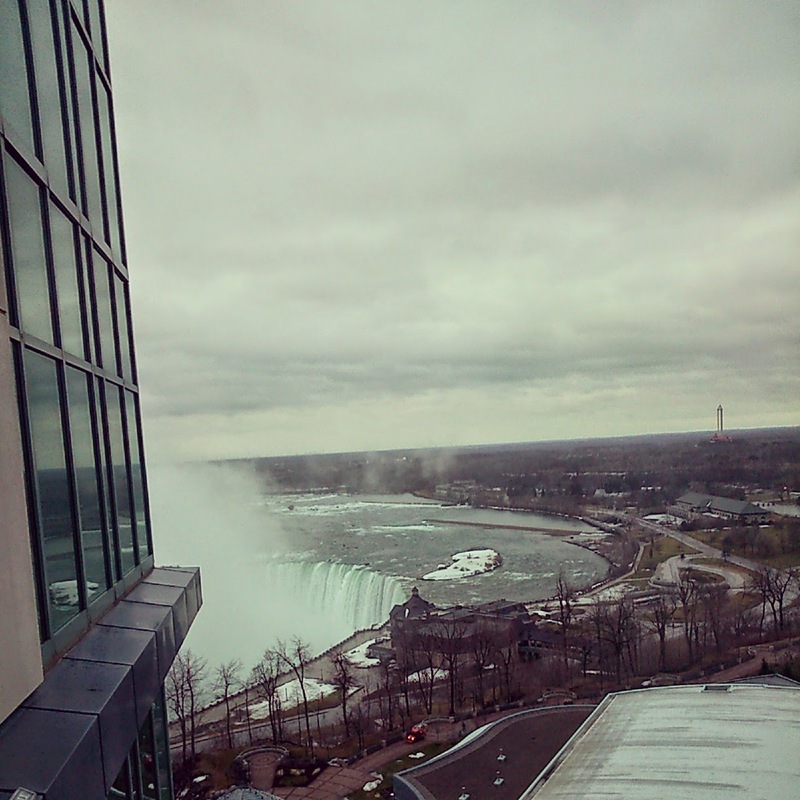 My mom got us a suite at the Fallsview Casino Resort Hotel. 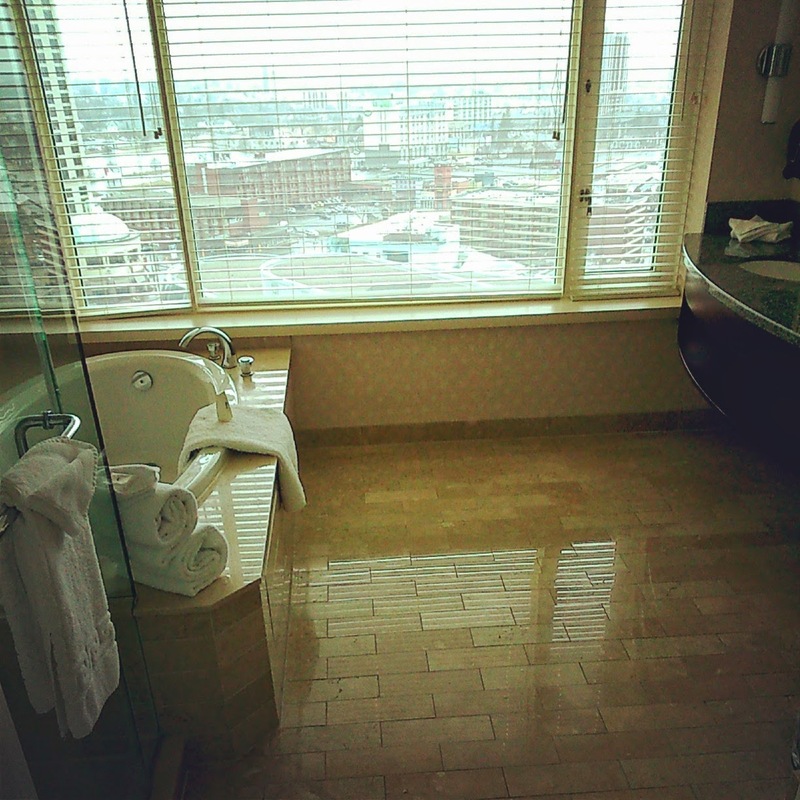 I always have to take a moment to admire the big, clean bathroom before it gets any use. The kids "move in" and take over with all their stuff pretty quickly. 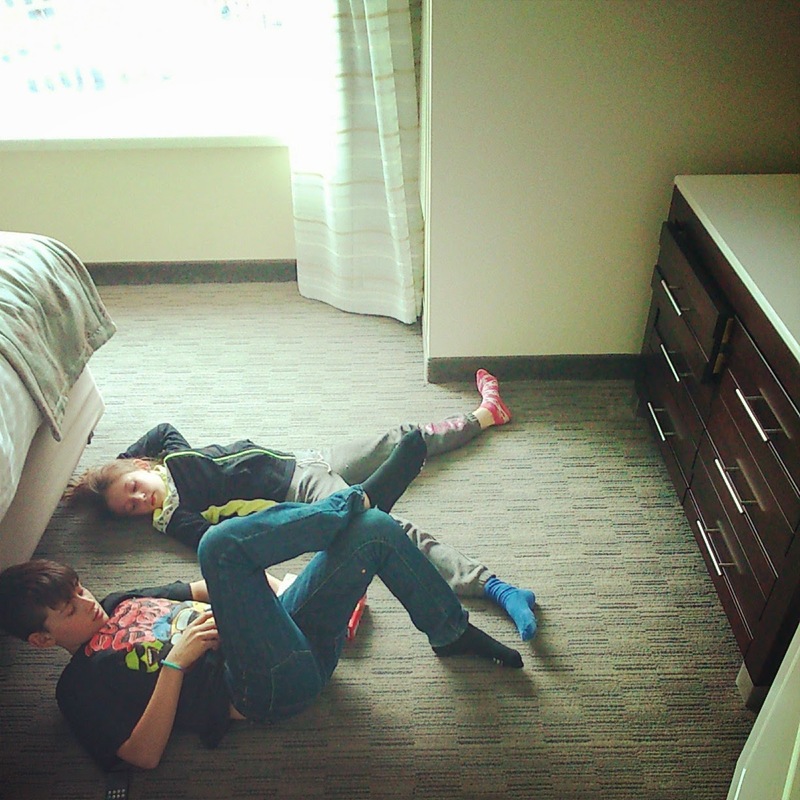 They have a great time hanging out with granny and visiting the hotel pool. They also like watching TV straight from bed in the morning. We moved on to another hotel the next day to meet up with the basketball team. The next hotel was overpriced and not so nice! We had a great time with the basketball families though, and the team won silver at the tournament. 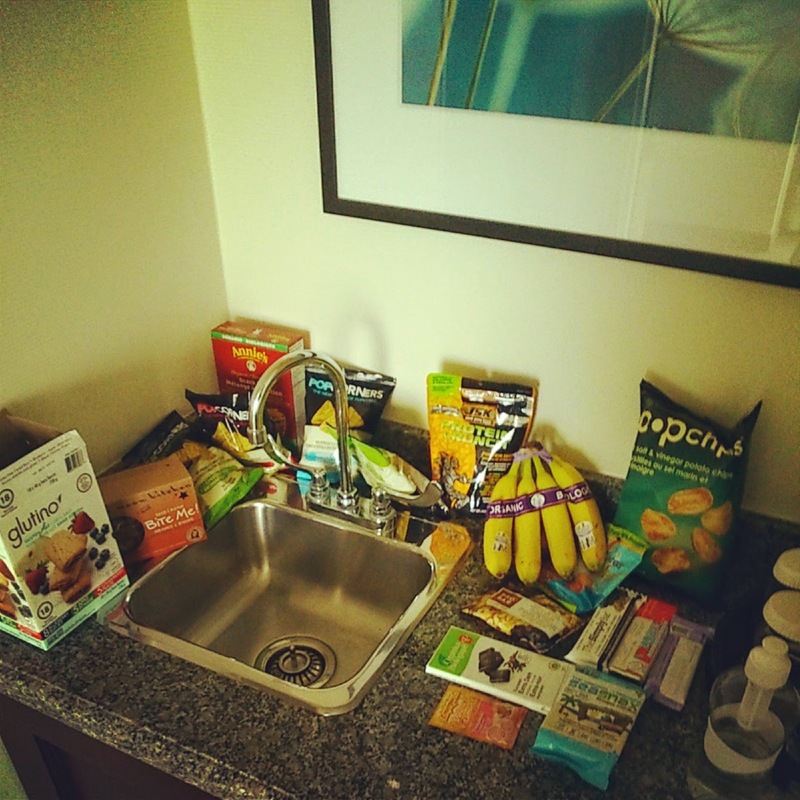 I have a tendency to overpack snacks. You just never know what you're going to need, right? My friends on Instagram tell me they do the same thing, so I feel better about dragging all that stuff around. We visited my sister on the weekend too, and exchanged Christmas gifts. (Yep, it's been a while!) One of her gifts to me was this cute teapot. Truth be told, I think the whole "Keep Calm and" thing is getting way overdone. 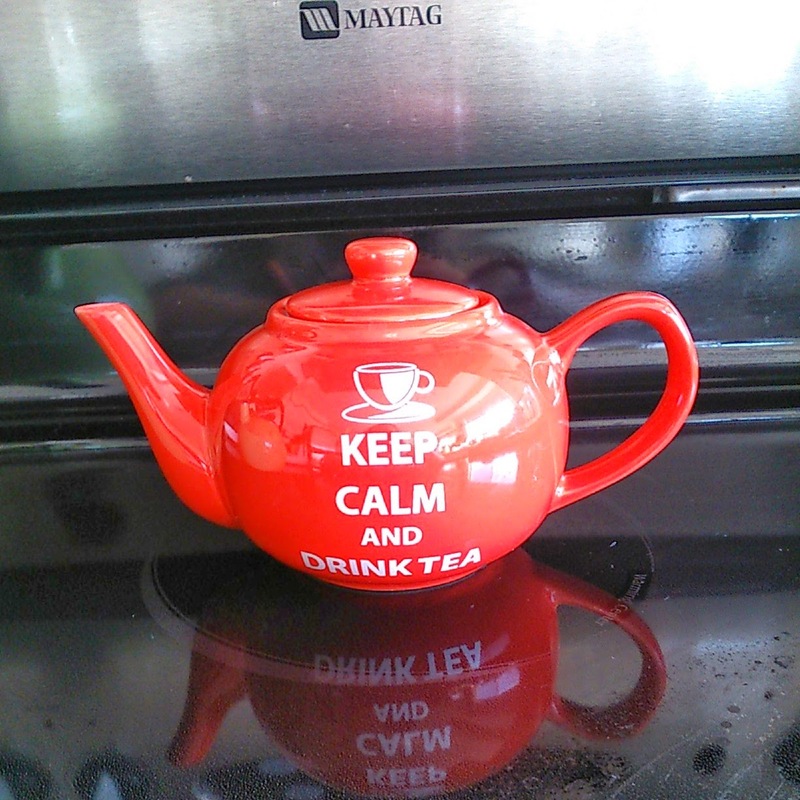 But "Keep Calm and Drink Tea" is definitely appropriate to my life. There are few things a cup of tea doesn't help with. With spring sunshine comes spring rain! 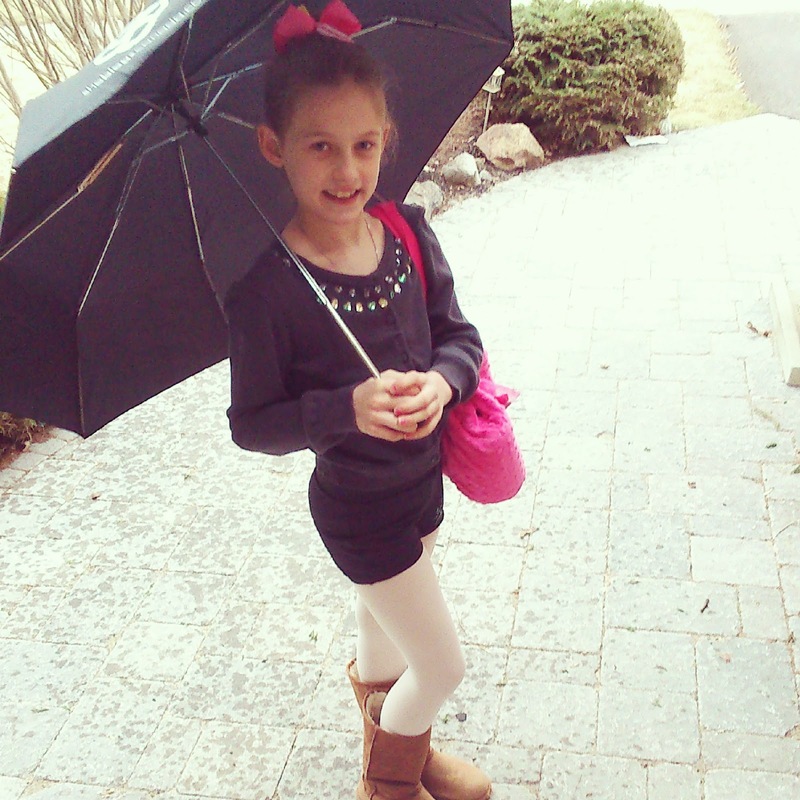 Here is my girl going off to dance classes with my SheBlogs umbrella yesterday. I'm not complaining about rain though. I spent too long complaining about snow! When I saw the photo of the soaps I thought they were real donuts and I was drooling. I'm in need of a good haircut and I got a beauty salon voucher for Christmas that includes a facial and pedicure so I should book those in before winter hits! Great post, I also thought the soap were real donuts, OMG, they are so cute. Wait. Those were soaps?? Awesome! I am a snack overpacker too, just FYI. You just never know, right? Aww :) What a great looking weekend! Glad to hear that everything is going great your way! Looks like you had some great family time..